The Compulsive Reader: Cover Talk: Oh, No They Didn't! I haven't been able to find a new cover for The Sweet Far Thing , but these are supposedly the new covers for A Great and Terrible Beauty and Rebel Angels . I hope to God that these new covers aren't actually going to be the new ones...the originals have this timeless beauty and perfection to them that just can't be replaced. And the new ones are just...ew. Ew. It's like, hello, eye make-up! Can't stand them. I know this is all about sales and marketing and selling more books (and I'm all for selling more books and having people read this marvelous series), but I will be treasuring my copies with the original covers, of that you can be sure! ETA: Rumors are false about these being the new American covers--they're the Australian ones! Sorry for the confusion, everyone! Moral of lesson: don't believe everything you hear on Twitter! Ugh...I totally agree with you! If they replace the originals with those...yuck! Oh my gosh! Why would they do that!?!?! The first were gorgeous! Is this an April Fool's joke?? Seriously, this is April Fool's right? The Stockphoto watermark is still on those images. 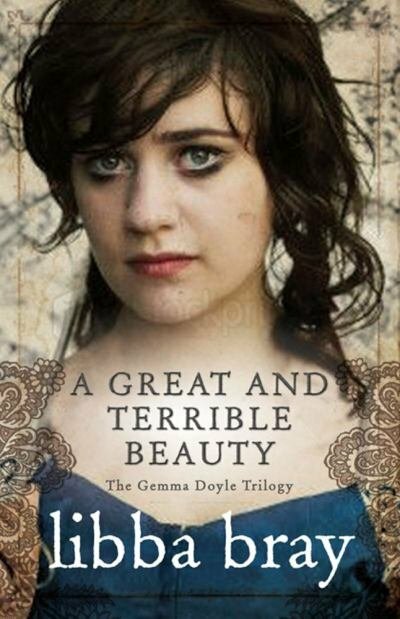 Why would they make Gemma Doyle look like a series about Victorian hookers?! Those covers are absolutely HIDEOUS! The originals are gorgeous, and I love how it is Gemma with her pretty hair! Who the heck are those girls supposed to be?! If they are planning to go with those (if this is true), I doubt sales will really sore. Besides the eye makeup, I don't really think they're all THAT horrible. Though the old ones are definitely better. But I'm pretty positive those aren't rule. I blur out stock watermarks all the time, and I do it better than the one on AGATB. A real cover would've been made by a real designer who would've actually bought the stock of the girl- watermark free. But yeah .. those are pretty harsh. I did see the watermark, which made me doubt the validity of these covers, but more than a few people on Twitter claimed these were the new covers...like I said, I haven't confirmed it though. And no, no April Fools joke! eew! Let this be a joke please please please. The AGTB cover is an absolute fav and they are replacing it with that horror! I mean team handling publicity stuff must be out of their minds! I loved the first covers! Not a fan of the new ones at all! The original covers are beautiful and timeless. The new cover models look like models on coke. Who are they supposed to be anyway? Not Gemma. Ugh. I've never read this series, but the covers are so beautiful. Some of the prettiest in YA. The new ones are not even close to par. Not good. Those new covers are frightening. 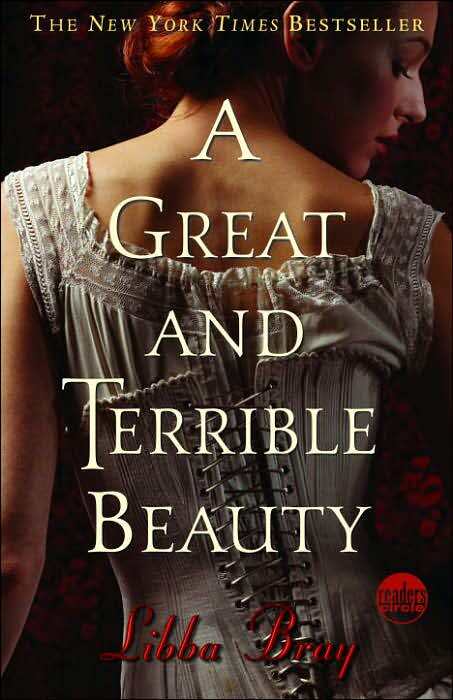 I actually just got A Greta And Terrible Beauty this week and I can't wait to get to it. These covers have to be an April fools. Joke. They just have to. Those new covers are just hideous! I'm with you the new ones are gross. I would not buy them. Ick ick ick. 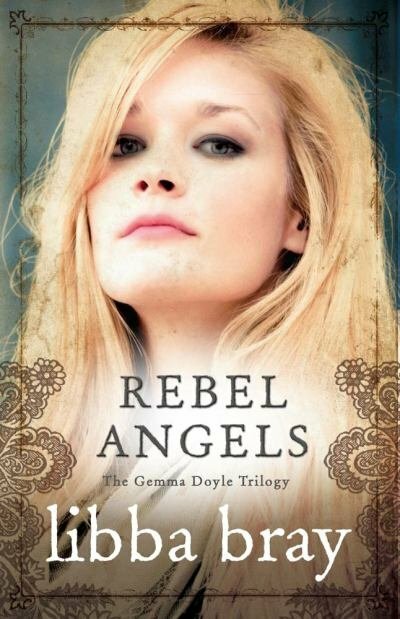 The Gemma Doyle series has one of the best matching cover of any YA book series I've read. If they actually go through with that mess than this will be one of the worst moves that RH has ever made. Those covers make me cringe! I don't know any girl who would pick them up by the cover alone. *shivers* I won't be able to get those covers out of my head for the rest of the day now. I'm outraged. Ugh those covers are gross! I guess if they are foreign covers I won't have to see them at the bookstore at least. EW! I REALLY hope this was just some kind of joke or fanart...I really hate them. The old ones are PERFECT. I love the originals so much. These are so just not lovely. 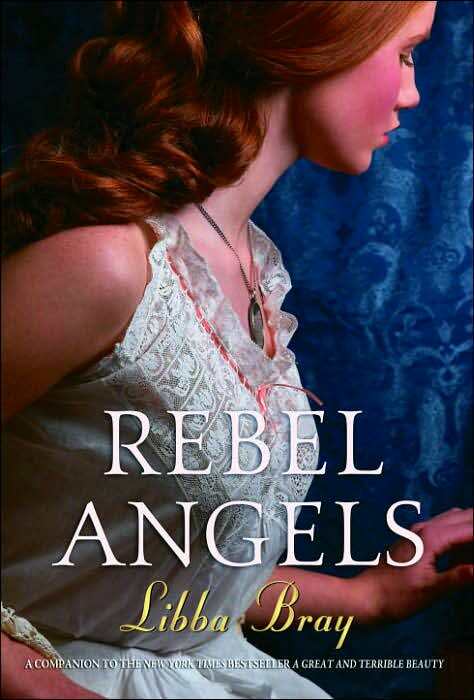 Rebels Angels is slightly better than AGATB I guess, but still I am not a fan, AT ALL. The covers are what drew me to the series. Wonder if that will be true in Australia. Oh wow, those Australian covers are... not good. The original ones are great because they're beautiful AND timeless. The new ones look like kids playing with mom's makeup. Not good at all. Those Australian covers are so bad. The reason everyone loves the originals so much is because it represents the time period of the book, what it's trying to convey, and the first covers were gorgeous. I don't care what country they are for, those ain't pretty! The covers were a big part of why I bought the books in the first place. I wouldn't buy them now with those covers. I agree, the North American covers are far superior in their design – I feel as though they convey the time-period and the overall feel of the books better. Plus, they’re just gorgeous. I am so happy that these aren’t going to replace the covers that are already in place, though I wasn’t surprised with the news since so many book series are getting “make-over’s” to update their looks. They did it with MaryJanice Davidson and Kelley Armstrong recently and the changes weren’t always for the better either. I agree with pretty much everyone else, those covers are mad ugly, it looks like they got inspiration from a crack den! I cannot believe this!! The cover was we drove me to read the book in the first place!!! Thank God I have a copy of the original covers!! I've never read this series but those girls look cracked out. No offense of course. The first covers are better. UGH! my mum just bought me this 1st book as a present!So far I love but I wish I had a better cover! lols im from Australia, looks like we got the rough end of the stick.